There is literally an app out there for anything you could ever want to do. Most of them are truly crap, but nonetheless if you have a need to be filled, someone has already taken the time to try and fill it for you. The question is how to properly utilize these endless apps and new technologies in a way that is going to be both cost and time efficient for your company. Always start with a goal in mind. Creative types like to just free wheel it to see where the day takes them, but in business you do not get that sort of leisure. If you are looking to increase profit, make sure your goal is very specific on where you want to increase profit and how. The easiest way to quickly increase profit is to cut expenses, and the easiest way to do that is to fire half of your staff. Obviously, that is not a good long term solution, but you get my point. Every decision has multiple consequences, so it is very important to think all of this through up front. Once you have a clearly defined goal, it is time to do your research. Mind maps of flow charts are awesome for helping you organize your thoughts, then take individual piece and begin the research process. For example, lets say you want to increase the profit on every roof that you sold and you are certain that you are just leaving money on the table with customers. Lay out the ways that you can increase profits, including simply tweaking your pricing formula, and think as far outside the box as you can here. In this specific example, who knows what the ultimate answer may end up being. The point of this exercise is to explore ever possibility and to then whittle down those options to a few that you find most appealing and that are testable. Whether you use a basic spread sheet, or some of the latest business analytic software, the success of each of the permutations needs to be properly entered into a system so that you can later see how effective the changes were without the data being skewed by emotions. It is next to impossible not to get emotionally involved in the outcomes, especially when you are the one devising most of these strategies and practices. 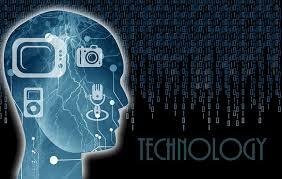 That is the single biggest benefit you will find in this entire technological revolution. The insights you will gain will often be counter intuitive and hard to believe, but if you trust the data and commit to implementing strategies based on your findings you will see just how powerful it can be.